Liar's Moon by Elizabeth C. Bunce is being released on November 1st (not that far away anymore!) and is the second book in Bunce's Thief Errant trilogy. What this means is that you should run out and read the first book in the series, StarCrossed before November 1st. 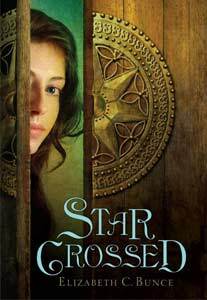 In StarCrossed, the reader is introduced to a sneak thief named Digger, who takes up with a group of nobles to escape capture for theft by the secret police when a job goes awry and her lover is killed. Little does she know that this particular group of nobles, hidden away in their wintry fortress, where Digger is posing as a lady's maid, are involved in an incipient religious civil war. All this is related to magic, which Digger can see but not practice. Digger is a fascinating narrator, used to hiding in the shadows, witty, but also damaged. Digger is back in her natural habitat of backstreets and thievery in Liar's Moon and meets up with one of the noblemen from the previous book, who has been put in prison for murder. Digger vows to clear his name and is drawn into "fantasy noir" adventures in order to do so. If this book is anything like the first in the series, I'm sure it will be splendid. Also, both books are set in a high fantasy setting that reads like the Renaissance in terms of clothing, book-making, etc. Bunce is working within a world she's been building since she was a teenager, so the religious systems and history are well thought out, without threatening the integrity of the story. 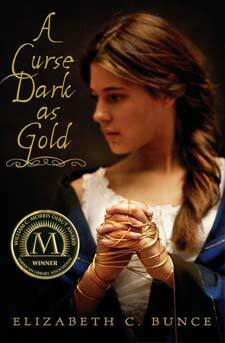 Elizabeth C. Bunce's first novel, A Curse Dark as Gold, which won the Morris Award for best first YA novel, is also worth reading, though quite different in tone and subject matter. It is a retelling of "Rumpelstiltskin", set during the beginnings of the industrial revolution in a British mill town. Instead of turning corn into gold, the protagonist must turn thread into gold. She must also make increasingly fraught sacrifices to stay in the Rumpelstiltskin figure's good graces, while managing the mill her dead father has left behind. This novel is really well-written, with great characterization, and dark, folkloric atmosphere. In short, I highly recommend reading Elizabeth C. Bunce's novels and I anxiously look forward to another volume of the Thief Errant series and anything else she may choose to publish.